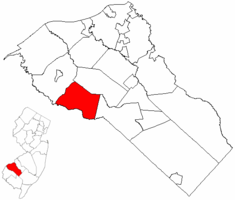 So Harrison Twp NJ Real Estate Info is designed to help you understand everything important for the area. This area is very large, encompasses several "areas" and a beautiful rural area to live in. This area does not have any directly named MLS Search Criteria. Even the School District is only the elementary school (K-6). The High School students (7-12) will go to a Regional School called Kingsway High School located in Woolwich Township.